“THE THAI ELEPHANT THERAPY PROJECT is a world first and it showcases Thailand as a pioneer in the support of research into alternative therapy solutions”, notes John Roberts, Anantara’s director of elephants and conservation efforts. “Results from the project showed that the children displayed improved adaptive behavior, sensory processing, postural control, balance and improved social skills of participants, while their parents also reported perceived improvement and satisfaction with the program”. The Thai Elephant Therapy Project (TETP) was created by Anantara Hotels Resorts in conjunction with Chiang Mai University and the Thai Elephant Conservation Centre and is designed to provide autistic children with an opportunity to develop their social interaction and emotional skills by using elephants as a working partner with occupational therapists. The elephants used in the project have been rescued from the streets of Thailand and have gone through specific training to ensure that they are healthy and well prepared for the clinical research sessions. 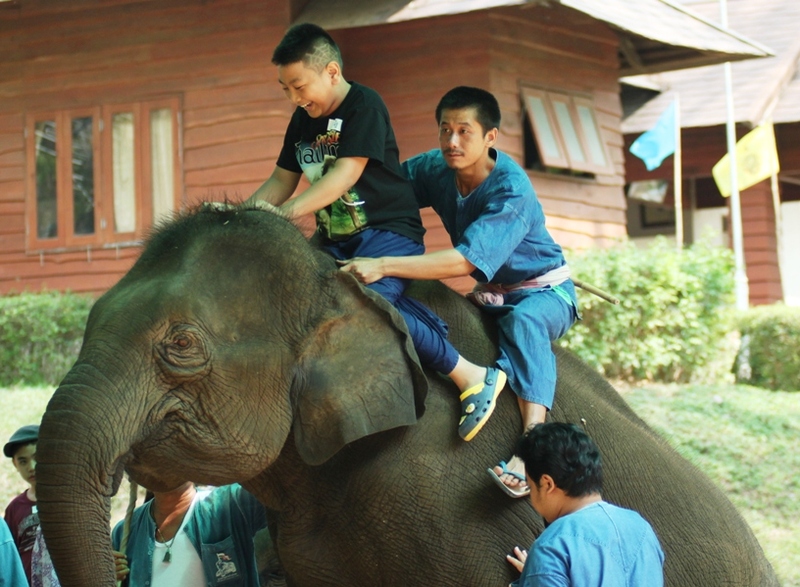 The elephants are accompanied by their expert mahout handlers, alongside human therapists and researchers. “The Thai Elephant Therapy Project also showcases Thailand as a pioneer in the support of research into alternative therapy solutions”, said Roberts. Anantara Hotels Resorts and Spas’ annual charity event The King’s Cup Elephant Polo Tournament recently help fund The Thai Elephant Therapy Project (TETP) – a world first technique using domestic elephants in therapy sessions with autistic children in the Northern Thailand town of Lampang. This year the TETP also intends to expand the research aiming to widen the scope of the clinics to include children with Downs Syndrome and other conditions. “Just to see the smiles on not only the children’s faces but also on the parents faces is proof enough that Anantara’s King’s Cup Elephant Polo Tournament remains committed to the project and is dedicated to raising the funds needed for its continued operation and expansion for years to come, Roberts. The 12th edition of the four-day King’s Cup Elephant Polo Tournament will be held Aug. 28 to Sept. 2 at Hua Hin‘s Suriyothai Army Base, approximately 20 minutes from Anantara Hua Hin Resort & Spa. SPECIAL LAST-MINUTE SEASONAL RATES are being offered By Centara Hotels & Resorts throughout Thailand and overseas destinations for all room categories. Rates are for single or double occupancy, with up to two children under the age of 12 years sharing their parents’ room and bedding accommodated, with breakfast included for no extra charge. Categories of suites and villas designed for a greater number of guests are also included in these special rates. Rates begin from as little as 1,200 BHT per night for a Superior room at Centra Government Complex Hotel & Convention Centre Chaeng Watthana. Rates, period and minimum length of stay vary depending on destination. WEAR A BIKINI and get a free ticket to CIE Bangkok‘s Let’s Bikini rooftop pool party on Sunday, June 30, featuring non-stop music from 4 pm on supplied by four guest DJs — SSD, Phunknomenon, loyalty Lite and Benz Princess of Electronic Sound. Entrance with party pack includes one selected drink. plus all you can eat Japanese BBQ. The cost — 790 THB for men and 490 THB for ladies. The event is sponsored by Brown-Forman Thailand, LLC and Boon Rawd Trading Co. Ltd. and is held in co-operation with Rockafella, an entertainment creation group of DJs who specialize in making a party the best it can be. Be sure to pick up a souvenir from their Skullcandy support. IF YOU’RE PLANNING to enter the 2nd annual Thai Spa & Well-Being Awards, be sure your application is submitted by 5 p.m. on Friday, June 28. Application forms are available online at info@thaispassociation.com. Completed applications, however, must be submitted to Ms. Boonsri Chotpaiboonpun, KPMG Phoomchai Audit, 50th Floor, Empire Tower, 195 South Sathorn Road, Bangkok 10120. Voting starts Wednesday, July 17 and ends Monday, Sept. 1 and the awards will be presented at a gala dinner in Bangkok on Sept 19, starting at 8 p.m. There are 11 awards in the Industry Category for: Best Booth Design, Innovative Spa Cuisine, Innovative Spa Treatment, Innovative Spa Design, Natural Product, Organic Product Spa Product, and Spa Educator — Individual or Company. There are nine awards in the Peoples Choice Category for: New Spa, Traditional Spa Experience, Amazing Day Spa, Amazing Hotel Spa, Amazing Hotel Resort, Amazing Medical or Wellness Spa, Amazing Destination Spa, Innovative Marketing Campaign, Amazing Value for Money Spa. There is also a special award given to the individual for her/her contribution to the industry, who will be named to the Thai industry’s Hall of Fame. 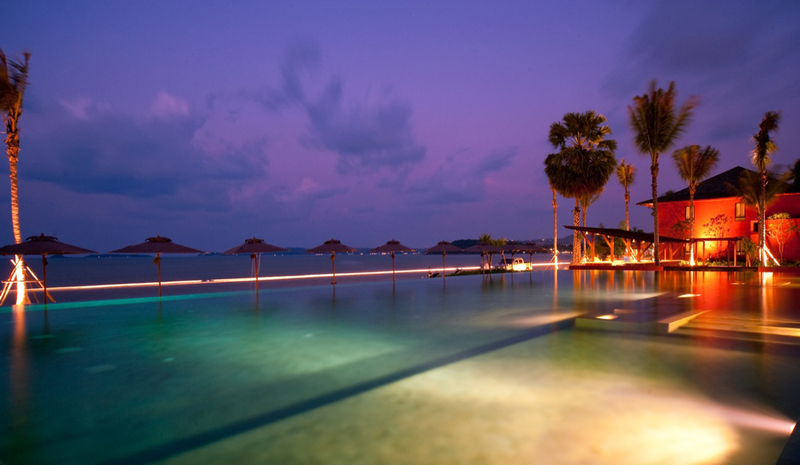 SALA SAMUI is offering a Honeymoon-of-a-lifetime package that features “four nights and five days of romantic bliss”. The package includes: VIP arrival cool towel and welcome beverage; red roses, handmade chocolates, sparkling wine, fruit basket and floral bed decoration; candlelit dinner for two with SALA mixed grill and bottle of house wine; SALA Spa package for two that includes a massage, body scrub, facial and herbal steam; round trip transfer to and from anywhere on Samui by private limousine; and daily breakfast for two. 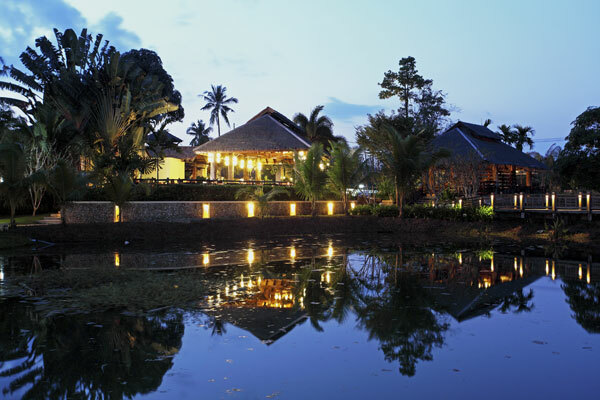 TWENTY-TWO properties operated by Centara Hotels & Resorts have been awarded the 2013 TripAdvisor Certificate of Excellence. Of these, 20 are in Thailand, one in the Maldives and the other, in Vietnam. The newly released certification, which is based on ratings posted by hotel guests, places each property within the top 10% of all businesses worldwide on the TripAdvisor website. In 2012, eight Centara properties received the TripAdvisor’s Certificate of Excellence. Centara properties receiving the award are located at Bangkok, Krabi, Samui, Hua Hin, Pattaya, Phuket, Trat, Koh Chang, Chiang Mai, the Maldives, and Phu Quoc Island in Vietnam. “This is an outstanding recognition of our commitment to our guests and for the quality of our Thai-style hospitality,” says Thirayuth Chirathivat, chief executive officer of Centara Hotels & Resorts. “As the certification is based entirely on the consistency of high ratings given by guests to businesses listed on the TripAdvisor website, it reflects the authentic feelings of our guests towards their experience with us. Centara Hotels & Resorts currently has a portfolio of 38 properties in operation in Thailand, Vietnam, Bali, the Maldives, Mauritius and Sri Lanka. A further 20 are in the construction phase, bringing the over-all total to 58. Centara properties that have received the 2013 TripAdvisor Certificate of Excellence are: Centara Grand & Bangkok Convention Centre at CentralWorld; Centara Grand at Central Plaza Ladprao Bangkok; Centara Grand Beach Resort & Villas Krabi; Centara Grand Beach Resort Samui; Centara Grand Beach Resort & Villas Hua Hin; Centara Grand Mirage Beach Resort Pattaya; Centara Grand Beach Resort Phuket; Centara Villas Samui, Centara Villas Phuket; Centara Kata Resort Phuket; Centara Karon Resort Phuket; Centara Chaan Talay Resort & Villas Trat; Centara Anda Dhevi Resort & Spa Krabi; Centara Pattaya Hotel; Centara Koh Chang Tropicana Resort; Away Suansawan Chiang Mai; Centara Boutique Collection, Khum Phaya Resort & Spa; Centara Boutique Collection;Nova Hotel & Spa Pattaya; Centara Boutique Collection; Centara Boutique Collection; Centra Ashlee Hotel Patong; and Waterfront Suites Phuket by Centara. The latest Centara brand is named COSI Hotels, “an economy brand designed for travellers who predominantly make their bookings via the Internet and who want comfort and convenience at the most friendly prices available.” The first COSI hotel is due to open in 2015. THE DALAI LAMA, TENZIN GYATSO, one of the world’s most popular spiritual leaders, will be keynote speaker at the 7th annual Global Spa’s Wellness Summit, set for New Delhi, India, in October. 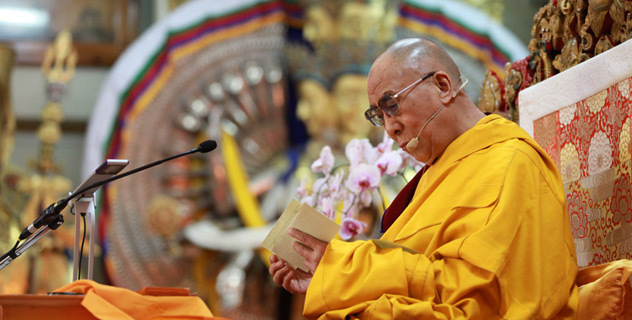 His Holiness describes himself as a simple Buddhist monk. In 1989, he was winner of the Nobel Peace Prize and is the first Nobel Laureate to be recognized for his concern for the global environment, and was recently named the most popular world leader in the U.S. and six European nations. He has authored more than 72 books, and traveled to more than 62 countries on six continents. Dr. Kenneth Pelletier, clinical professor of medicine, University of Arizona and University of California, believes that hearing him speak will represent a “defining moment” for conference delegates and the industry. 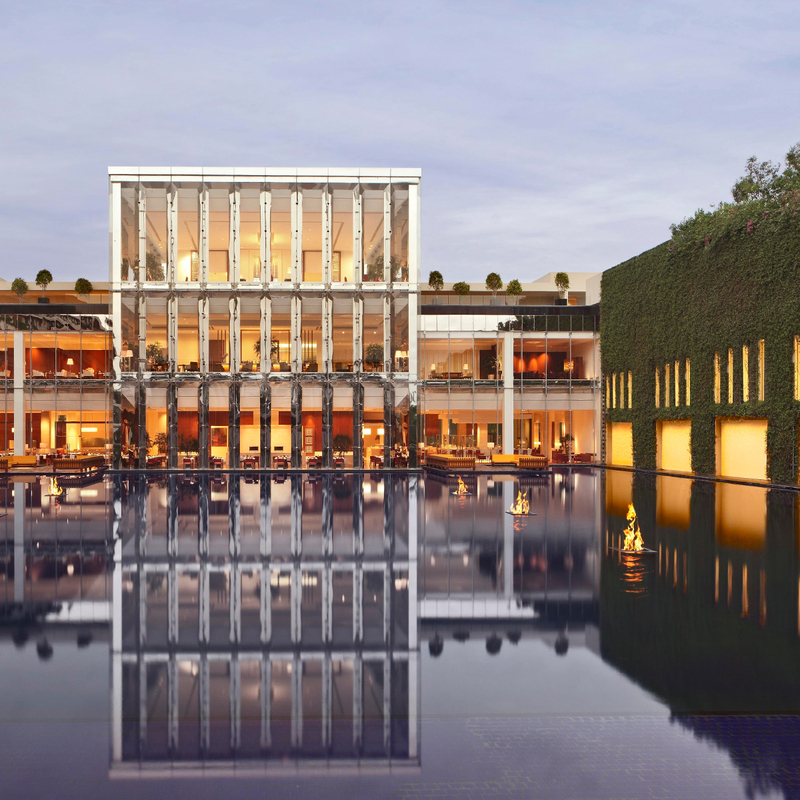 A DEDICATED FORUM, defined as fully immersive, all-inclusive spa and wellness retreats, will lead off this year’s Global Spa & Wellness Summit (GSWS) at New Delhi, India, Oct. 5-7. The global spa forum represents the first time leaders from 1,500-plus destination spas worldwide will gather in an effort to create a strategy on how best to solve their biggest challenges and capitalize on their biggest future opportunities. “Although destination spas are a smaller group than resort and day spas, they’re often the leading innovators on the wellness frontier. And this first global ‘think tank’ organized for this critical spa segment is an exciting, much-needed event,” said Sharon Kolkka, general manager of Australia’s Gwinganna Lifestyle Retreat. While destination spas and wellness retreats are becoming more diverse than ever, they share a mission of providing comprehensive mind/body/spirit experiences in which all guests participate. The programming, which typically spans fitness activities, nutritious cuisine, therapeutic and beauty treatments, preventative services and wellness education classes, is specifically designed to jumpstart healthy lifestyle changes. And while destination spas represent only 2% (roughly 1,500 out of 72,000) of spa properties globally, they account for a much larger percentage of industry revenues (13% or $6 billion-plus) and employment, by 9%. A group of destination spa leaders met informally at the 2012 Summit in Aspen, Colorado. And this year GSWS organizers decided that this high-impact sector needed formal space on the agenda to help further an alliance and collaboratively analyze their unique challenges and opportunities. Among those helping shape the Destination Spa Forum agenda are two Thai wellness retreats – Chiva Som and Kamalaya Wellness Sanctuary. The Forum is sponsored by the International Health and Wellness Alliance (IHWA). This new organization is devoted to educating the world about destination spas and wellness centers and encouraging the adoption of sustainable practices and evidence-based approaches at properties worldwide. HANSAR SAMUI is offering a luxury tropical romantic retreat that includes a full list of special offerings – from cooking to massages. Three-nights accommodation for two in Sea view XL or Beach Front room; private round trip airport transfers; Hansar signature cocktail on arrival; welcome flower garland and local fruit selection on arrival; daily à la carte or buffet breakfast for two; Thai cooking class; beachfront dining for two under the stars, complete with butler; rejuvenating 90-minute massage for two (choice of Stimulator, Revitalize or Siam Facial); 30-Minute Foot Reflexology massage; facial followed by herbal body scrub; full day Island tour highlighting the fantastic scenery of Eastern Thailand; Picnic lunch for two; one high tea for two at the Chill Lounge; ne coupon per person to choose from either: One non-alcohol cocktail at Chill Lounge or one dessert at H-Bistro restaurant; complimentary hotel gift; nightly turn-down treat; bottle of house wine; flower arrangements; bath with flower petals; and early check-in/late check-out subject to availability. The package starts at US$1,767 for the Sea view XL room and US$1,934 for the Beach Front room. Hansar Samui offers luxury, beachfront, spacious accommodation with unobstructed sea views from every room, and supersize private balconies and oversized daybeds for outdoor living and entertaining. Each room has been finished with teak floors, terrazzo bathrooms and local textiles to provide a sense of place. For more information on Hansar Samui visit: http://www.hansarsamui.com/home. RITZ-CARLTON RESERVE at Phulay Bay is offering an exotic wellness retreat, designed to “refresh your soul and mind” that focuses on awareness of your mind, body and spirit, using ancient therapies and techniques. Phulay Bay is the first Ritz-Carlton Reserve property, located in Krabi and set along the scenic shores of the Andaman Sea. It was opened just over a year ago and represents a departure from the ordinary, with “rare, exotic and authentic experiences” in one of the most remote corners of the world. It has 54 one-bedroom villas with private plunge pools and great ocean views. Two-nights accommodation in the Reserve Pavilion or Reserve Pool Villa; daily breakfast for two at Jampoon Restaurant; roundtrip transfers from Krabi Airport by hotel limousine; exotic beverage refreshments en route to Phulay Bay; special welcome amenity; one hour daily Meditation class and one hour yoga private class per stay; one hour Pilates reformer or hatha yoga class per stay; one hour session of guidance through healthy life style class from the Wellness Reserve team; daily lunch at Raw Café with special healthy TAiPAS Menu; one hour Thai massage therapy; daily detox and energy Juice; 24-hour butler service; complimentary daily boat trip to Hong Island; and complimentary non-alcoholic beverage, local coffee and tea. This package starts at US$647.12 for the Resort Pavilion and $1,236.94 for the Reserve Pool Villa, and is valid through Oct. 31, 2014. 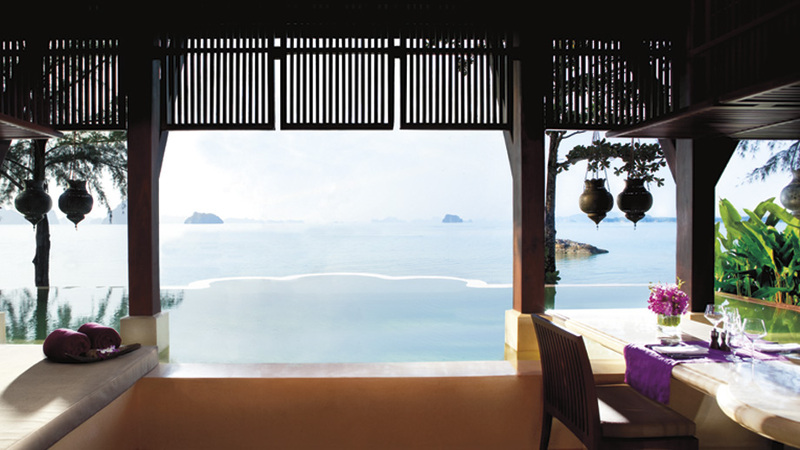 For more information on Phulay Bay, visit www.ritzcarlton.com/en/Properties/PhulayBay/Default.htm.